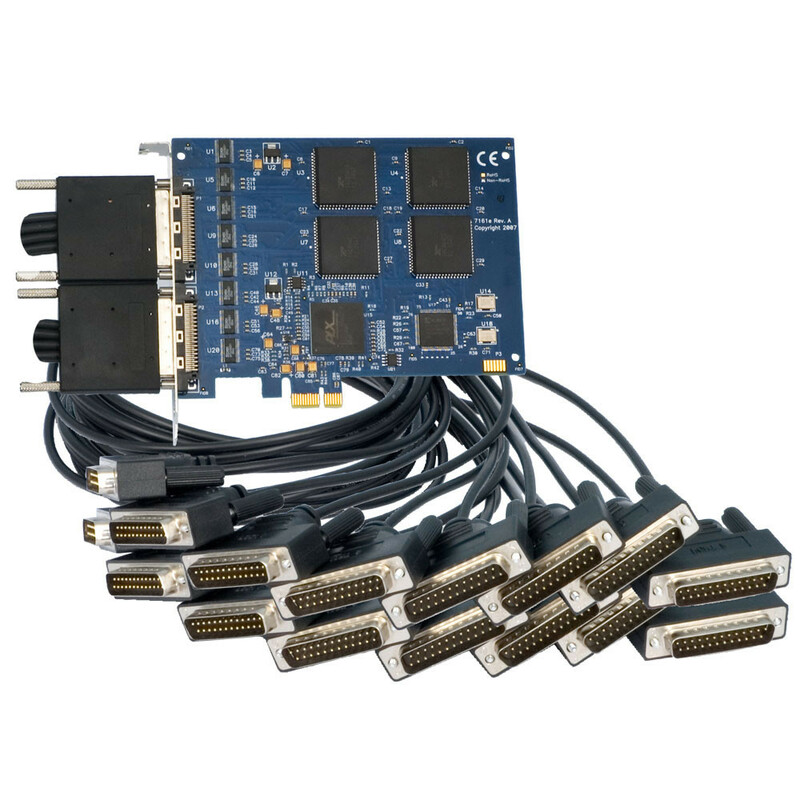 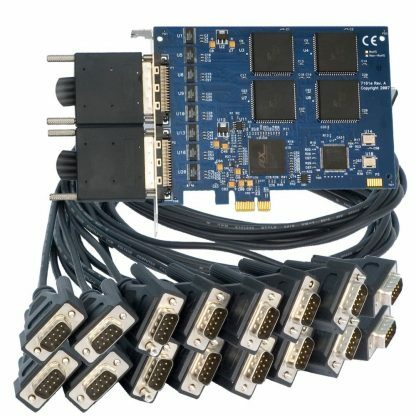 The 7161e provides sixteen RS-232 serial ports capable of data rates to 460.8K bps. 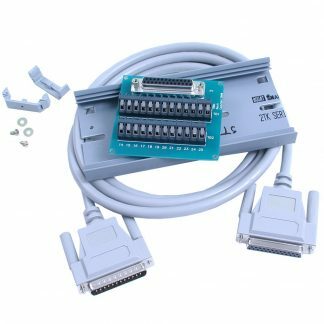 Each RS-232 port implements all modem control signals for maximum compatibility with a wide range of peripherals. 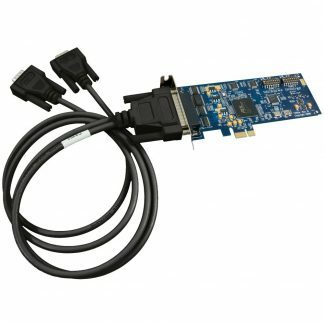 The board is PCI Express X1 compliant and utilizes 16C854 UARTs to provide 128-byte Tx/Rx FIFOs for maximum reliability in data intensive applications. 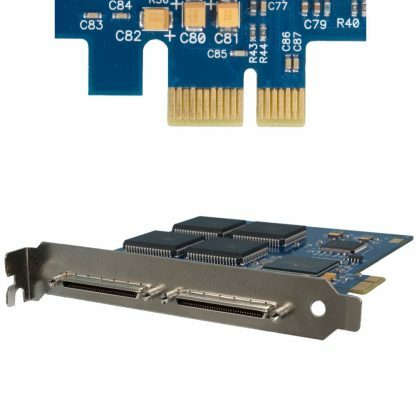 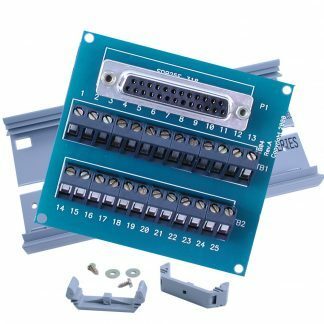 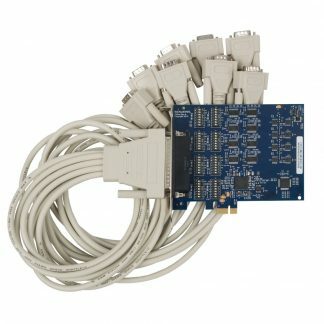 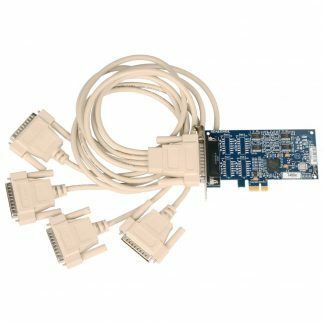 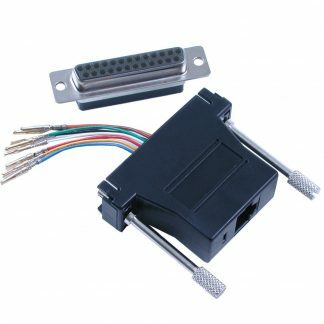 The board ships with two 36 inch cables that terminate to sixteen DB25M connectors. 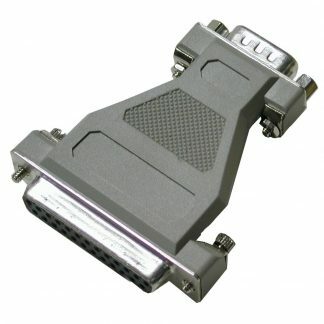 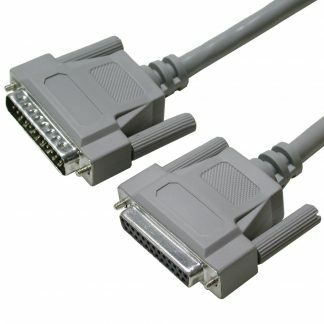 For DB9M connectors, select the appropriate cable options.